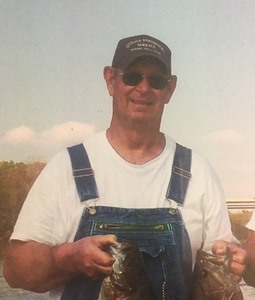 Glen Tom "Deadeye" Bonee, age 82, of New Prospect, TN passed away Tuesday, January 29, 2019 at his residence. He was a native of Lawrence County, TN, retired from Murray Ohio, and a member of Cloverdale Congregational Methodist Church where he served as a deacon. He was preceded in death by his parents, Oscar and Bessie Prince Bonee; three brothers, Ed Bonee, Calvin Bonee, and Sammy Boyd Bonee; and one sister, Susie Fleeman. Arrangements are being handled by Neal Funeral Home, 231 N. Military Avenue, Lawrenceburg, Tennessee. The family will receive friends from 4:00 PM to 8:00 PM Thursday, January 31, 2019 at Neal Funeral Home. Funeral services will be conducted at Neal Funeral Home at 1:00 PM Friday, February 01, 2019, with Josh Bonee, Scotty Griffin, and Santiago Shol officiating. Interment will follow at Mars Hill Cemetery in Lawrenceburg, TN.